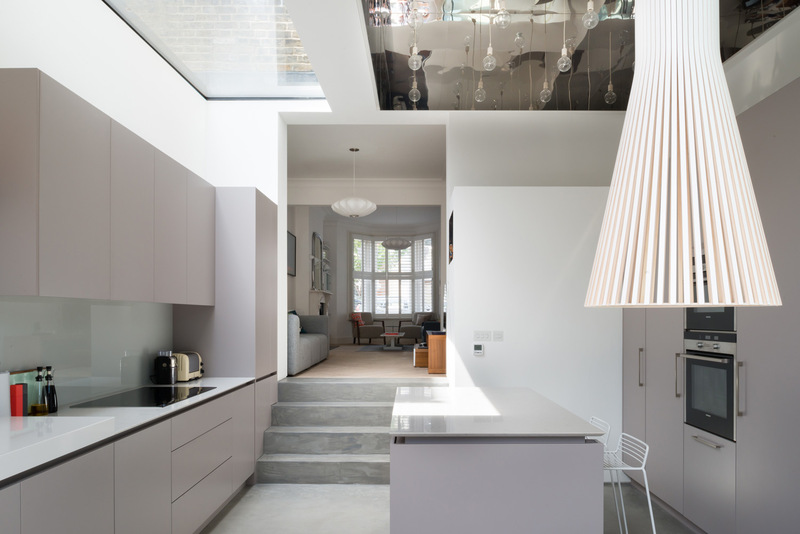 This house extension and refurbishment transforms a Victorian terraced property in a Highbury conservation area. 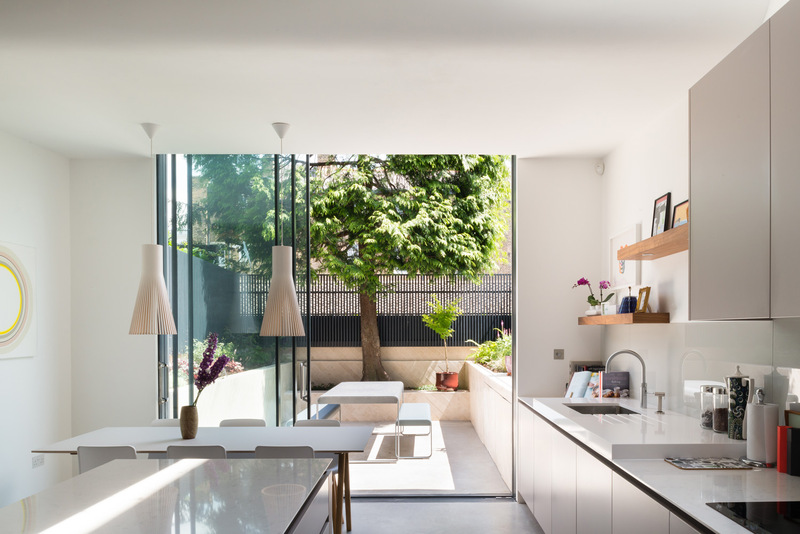 The brief was to create open plan spaces with an improved relationship to the garden, and a kitchen that could be enjoyed as a social space. 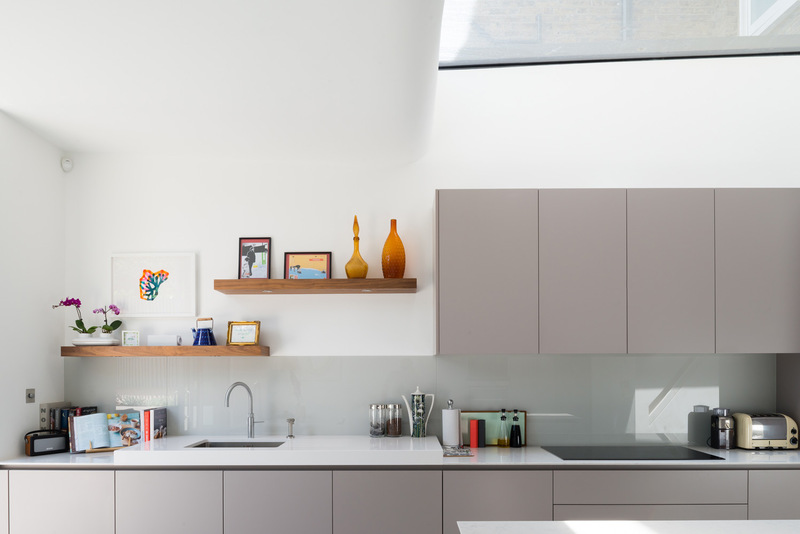 The original kitchen was dark, and had a very low ceiling height of just over two metres. Works included the demolition of the poor quality conservatory and original rear rooms at both ground and first floors. This allowed a double height space to be created in the new kitchen. A bespoke polished stainless steel chandelier adds drama and the reflections emphasise the verticality of the double height space. Polished stainless finishes are continued internally with a recessed stainless display case and externally with cladding details. 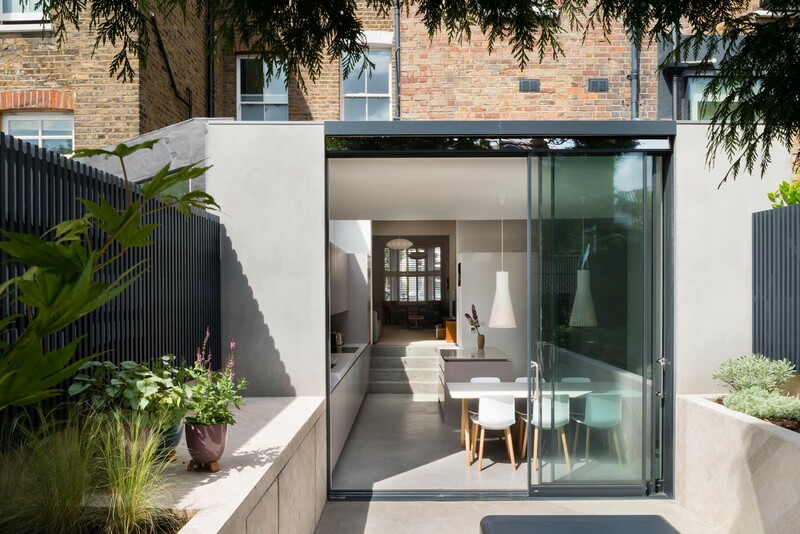 Tall, 3.1m fine framed glass doors allow uninterrupted views to the exterior, and a sculpted ceiling profile with curved plasterwork leads the eye toward the garden. 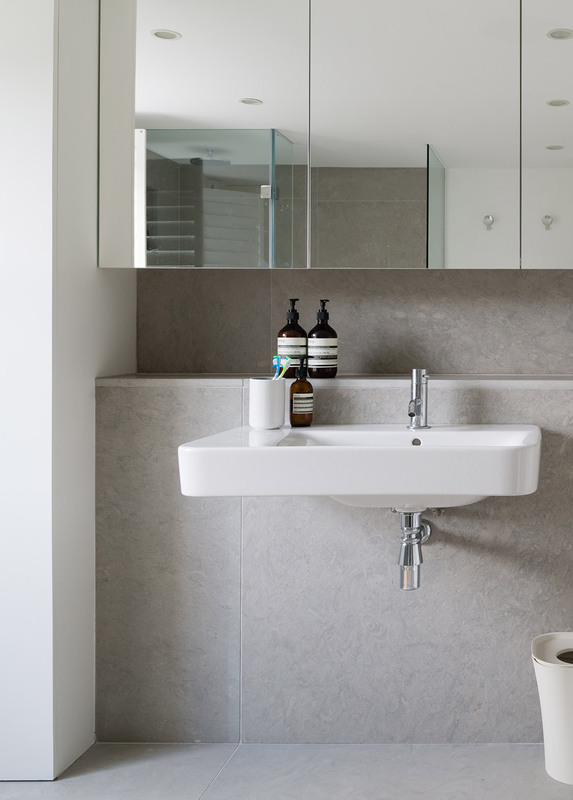 The previous narrow corridor was unsuitable for carrying large items through to the kitchen, so the ground floor plan was reconfigured and a more generous circulation route created. 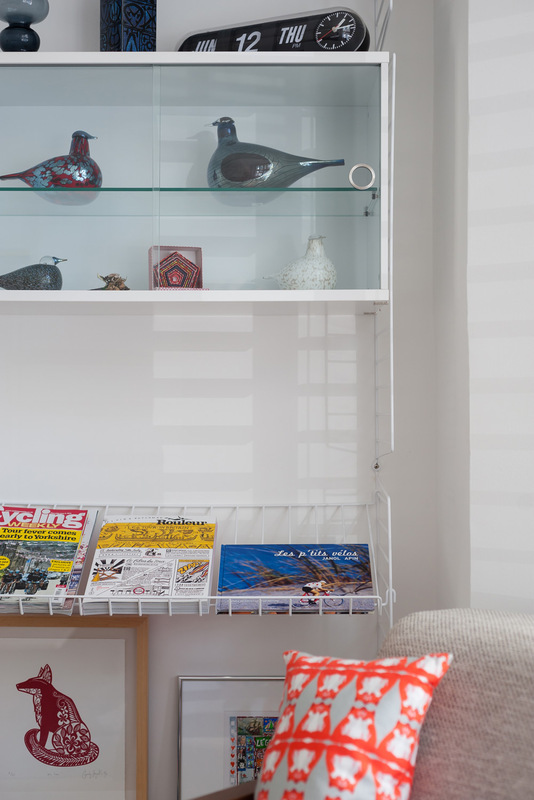 This now leads through the reception rooms, with a large opening to the kitchen connecting the spaces and allowing good natural light levels in the rear reception room. 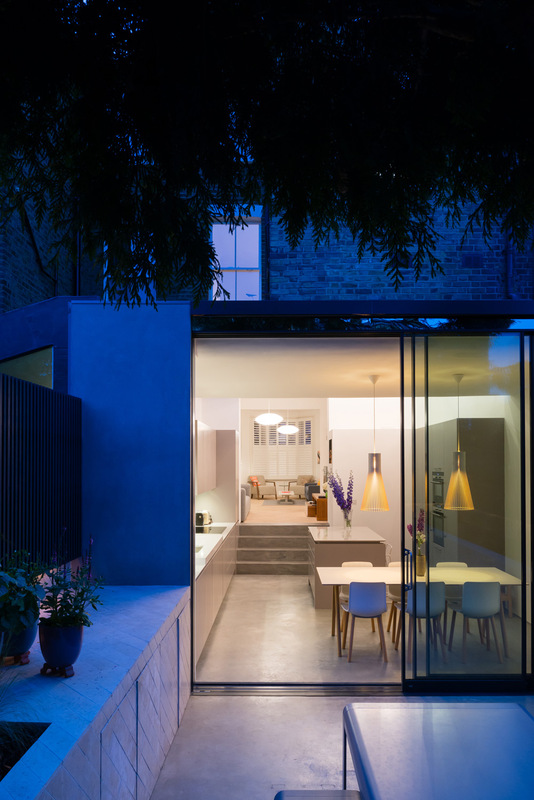 The polished concrete floor of the kitchen provides a uniform textured surface that continues into the garden, and this matches the extension cladding. The garden design features a bespoke timber fence with planters in limestone.